The first round of For Honor’s faction war ended yesterday with a surprising upset by the Vikings. Initially underestimated, the bearded brutes have suddenly become the game’s top faction. For Honor’s multiplayer has a meta-game to it in which players across platforms can distribute war assets on a territorial map, claiming enemy lands and pushing towards a victory that earns a supply of loot granting scavenger crates. The Vikings just pushed their way to a stunning victory. The situation is peculiar because the early days of the game appeared to be dominated by players in the Samurai faction. I’m a dedicated player of the fast paced, weeb friendly Orochi class and my faction seemed off to a great start. Samurai even pushed right to the doorstep of the Knight’s keep. But over the last few days, there was a noticeable upswing in the amount of Vikings on the field. Kotaku has reached out to Ubisoft for specific numbers but has yet to receive comment. Nevertheless, I personally observed a growing number of Berserkers, Warlords, and especially Raiders. Where my dueling sessions used to be full of katana and broadsword, there was a sea of axes. Of course, some players don’t necessarily play classes corresponding to their chosen faction. 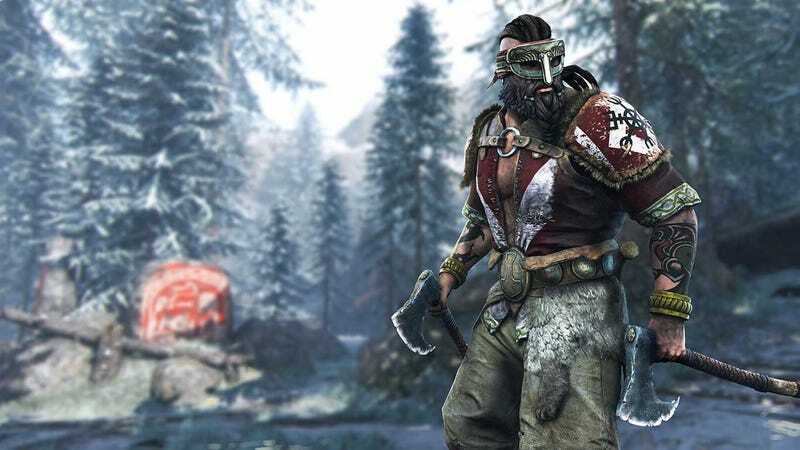 Still, the rise of Viking visibility and their turnaround victory in this week’s round of the faction war signals a clear momentum change in the game’s meta. The next faction war round will start with the same territories. It remains to be seen if the Vikings can keep their holdings but I’m steeling myself for a bearded, booze chugging onslaught.